I have a name. I am not just a face among millions. My name is not orphan. It is not, Unloved or Unwanted. I have a name. It is not Cursed, Abandon, or Forgotten. It is not, Overlooked, Disregarded, or Ignored. I have a name!… My name is not 147 Million. I have a name. I am Loved, Important, Needed. I have a name. I am, Necessary, Chosen, Selected. I am, His. I have a name. My name is Dismas John. To sponsor me, please fill out this online form or contact me by clicking here. 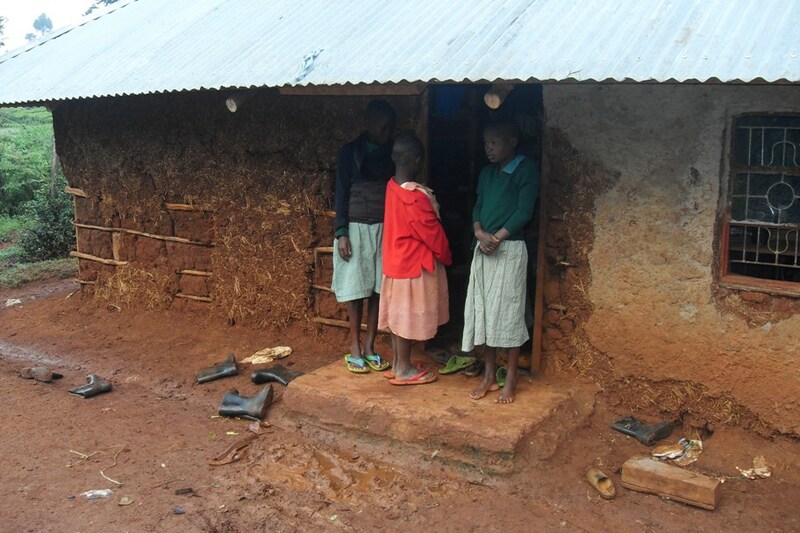 A number of the children/students who were previously sponsored in the Nkumba area, are in need of sponsors. Several of them are ready to enroll in university, and several are still attending elementary or high schools. 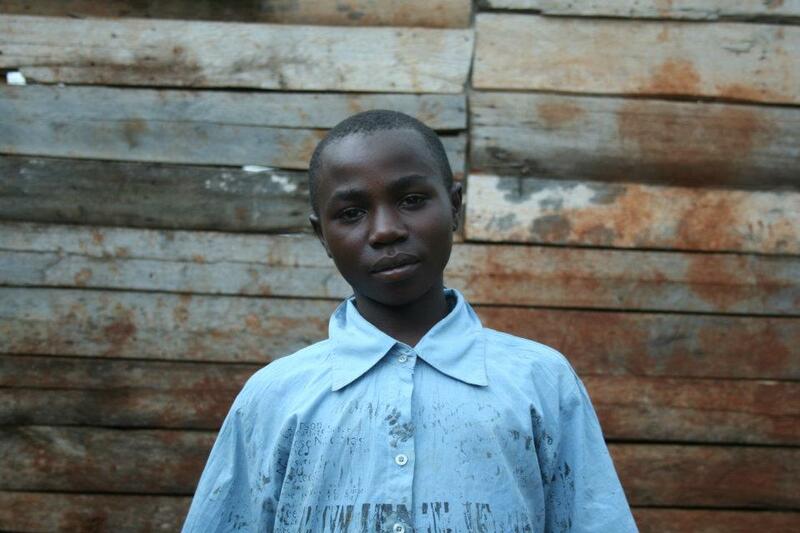 If you would like to sponsor a child, please email me , and we will provide you all the information necessary. -Elementary and high school fees are $42/mo or $504/yr. 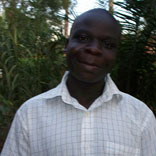 Molly Nvuma:Molly, one of the first 6 children who were sponsored in 2005 (one of “Milly’s kids”) is now 19 years old. She performed so well in her last year of high school (S6), that she will be readily accepted at University. She has a partial sponsor of $35/mo. $90/mo is the remaining need. Molly in 2005 at age 12–on the right in the yellow T-shirt. Lillian Nakato: Lillian is 12 years old. 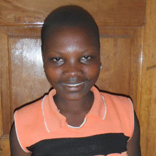 Mark Lubega shared the following: “She became deaf at the age of 4 years after suffering from severer malaria. 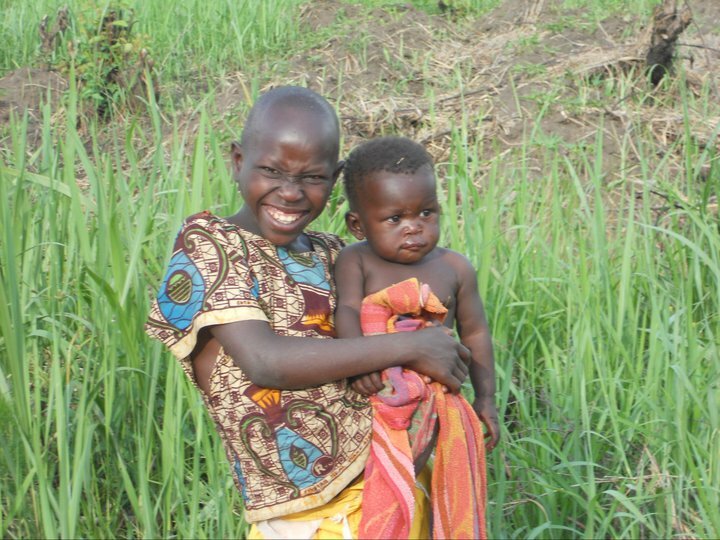 The medication they gave her to treat the malaria led to her losing her hearing. 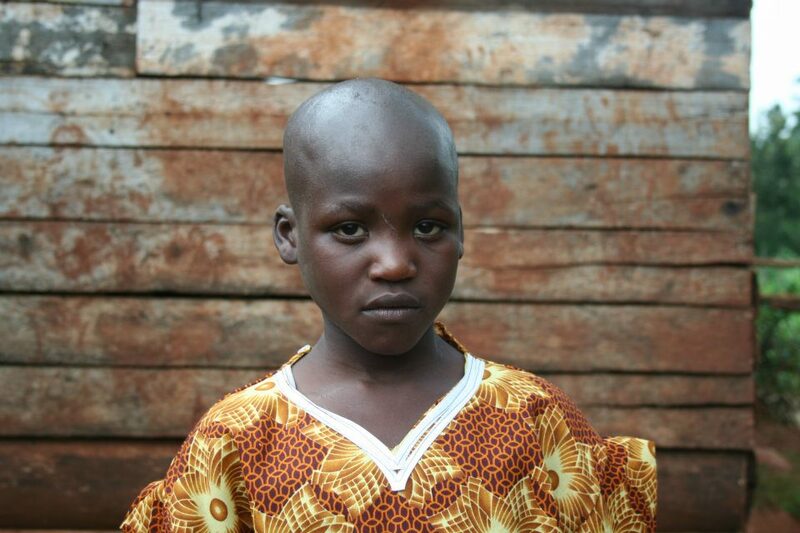 Lillian is the youngest of 14 children, and the parents do not have enough income to send her to school. She’s a smart girl and with her situation, she was in the school of the blind and deaf, but due to lack of money, she had stopped studying and currently she is kind of regaining the ability to talk some words by recognition of what others are saying and hear. (I would recommend hearing aids for her.) She is supposed to be in P.4. (4th grade- primary). 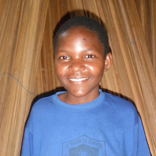 Please if there is any opportunity to get her a sponsor, I highly recommend support for her.” Lillan has past-due fees at the school for the deaf of $230. We are currently confirming her school fees. 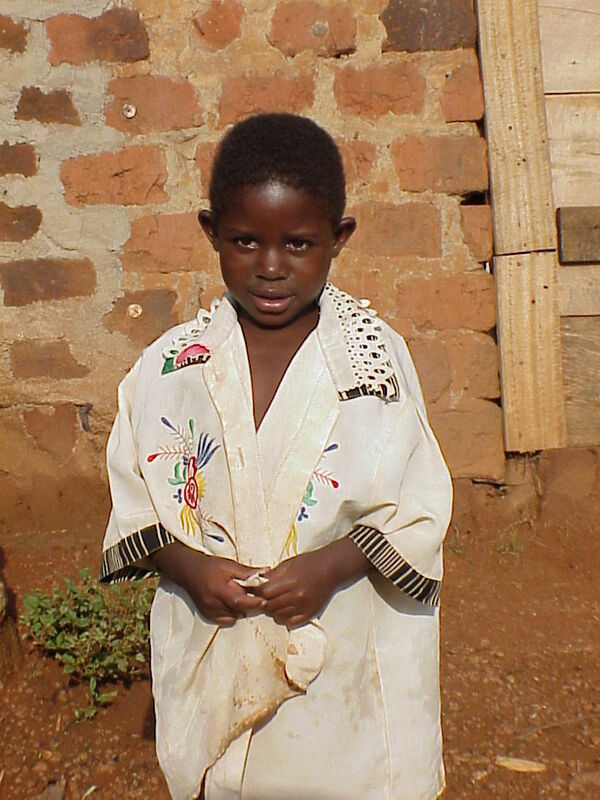 This photo of Lillian was taken in 2007, at age 7, when she was first sponsored. 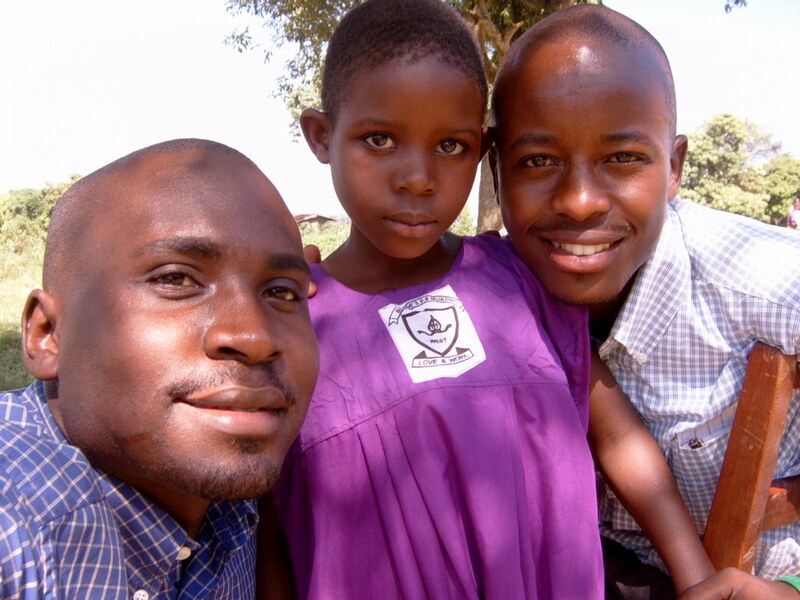 2007- pictured with Seggy and Mark in her new school uniform. 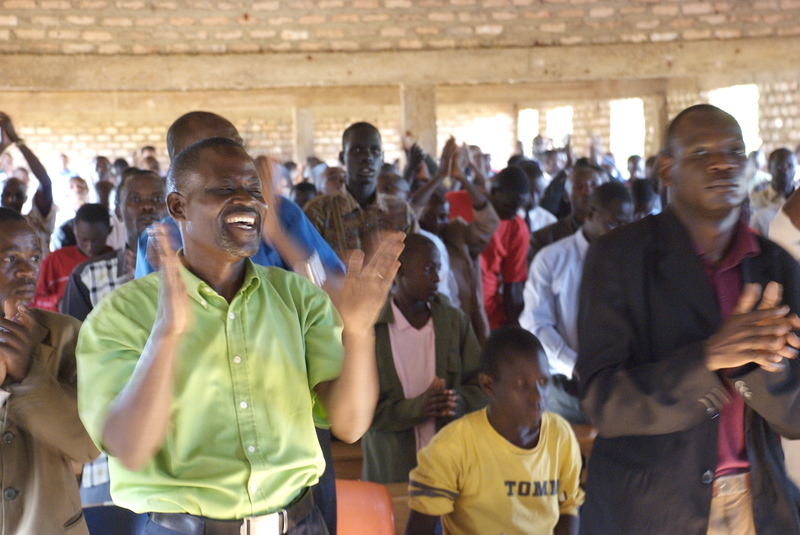 In 2008 a GTN team had returned from a pastor’s conference in Uganda. I was looking through their pictures, and kept noticing this very happy man in a green shirt. His brightly colored shirt was easy to spot in all the photos. I was trying to decipher different days of the 5 day conference, but I kept seeing the green shirt, so naturally, I thought they were all photos from one day at the conference. Finally it occurred to me. These pictures were from all 5 days. Pastor Fred had worn the same green shirt every single day. Some things just hit you hard. 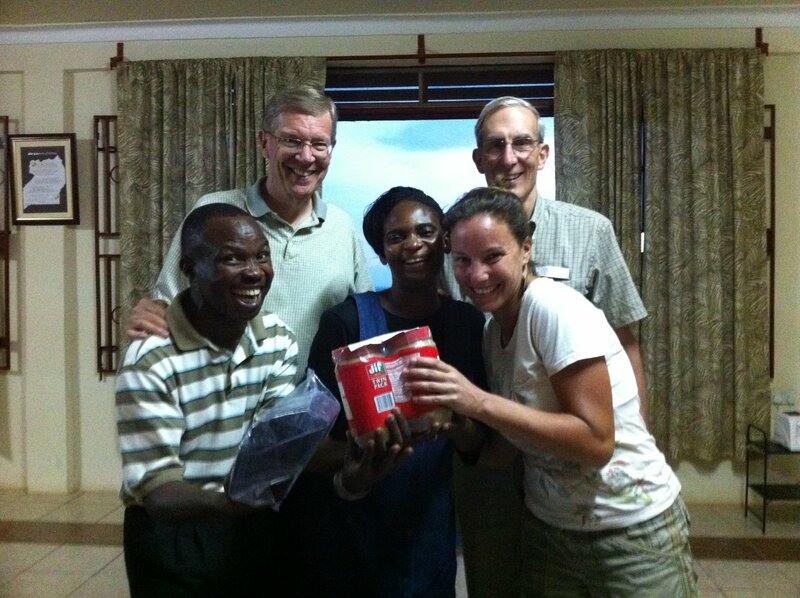 The GTN team reported on their trip, and specifically on Pastor Fred. They had gone to see his home, and decided to raise funds to help provide a roof and other repairs. I don’t know what his house looks like today, but this picture is the interior, taken in 2008. 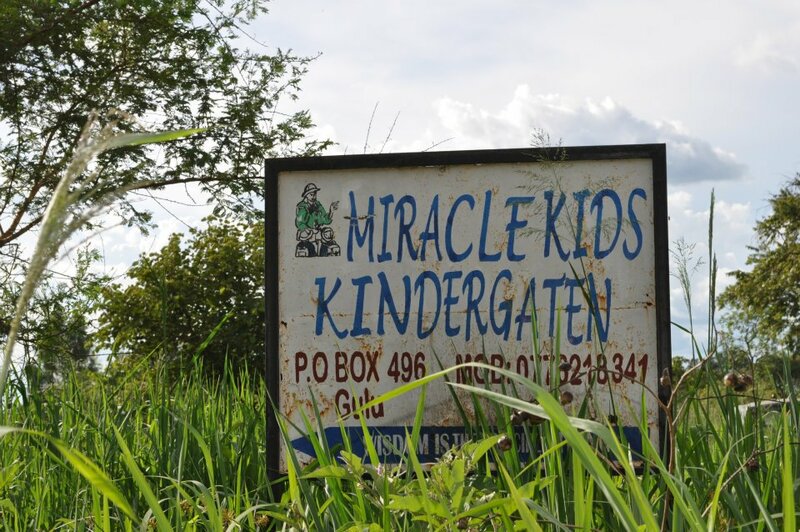 Some of you may recall that Ugandan Orphanage Relief Fund graciously took over our sponsorship program. Several of the above-named students will be sponsored through UORF. In addition to the students listed above, there are another 6 waiting for sponsorship at UORF’s site. You can meet those 6 children here. The team just returned from their expedition to both Kenya and Uganda, with Seggy Hannington and Mark Lubega as their “tour guides”. Aside from their personal luggage, there were 12 suitcases full of goodies that were given to the ministry leaders for their ministry and/or personal use. Multiple thank-you emails have been received. I share two below that I think you will enjoy–the first one really caught me by surprise. The “thank-you” of course is to everyone. Thank you for all the items you bought and donated. I know it was a real pleasure for the team to be a part of bringing them to Cyrus, Seggy and Mark, and Experito. Hullo, are you good? I do thank the good Lord who has kept good to this point. Just wanted to say thank you for the good gifts you sent me. They were delivered to me and I just wanted to say thanks. The good t-shirts, underwear and the cold scaff. Sorry for what I am going to say, but you gave me brand new underwear, a thing I never exprienced. As I had never had a brand new one, but thank you, for it was something I never expected. It was a real surprise. I looked good in all the stuff you gave me and I just wonder how you got to know about my real size… for I think you have never seen me!!! We are seeing the vision for Koch Goma coming to reality. The place is turning into a place of praise. The surprise of solar power has not left the place the same. There is a parent, Jokodino Okot, by name, who is confessing wherever he goes that this place is the capital city of our village. Solar is lighting our place for the first time in this village. Thank you soooo…. much for your zealous support of this project. I do not know where Koch Goma would be by now if it weren’t for your earnest prayers and dedicated support. We are forever grateful for your unreserved support. The visit of the team was a sweet savour. It stimulated all and sundry to great expectation of a better future. I would love you to send our sincere gratitude to all who made a contribution and donation to Koch Goma School and the church guitar. Also for Justine and myself’s welfare and Carissa. We were thrilled by replenishment of our wardrobe and kitchen with peanut butter and Carissa’s wear. The girl had not been feeling well for some days; but when Justine dressed her with the clothes you sent, she was all smiles and she never was moody again. Bryan and Drea Thiele and their daughter Coral will be travelling in early May with 5 other people to visit both Cyrus in Kisii and Pastor Experito in Gulu. Since I don’t get to go, my fun is in coordinating all the goodies that get to fill up more than 8 suitcases! If you’d like to participate, all you need to do is pick an item from the list, notify me, and purchase it. If you order it online, you can have it shipped directly to Bryan and Drea’s house. (Please email me for their address). TARGET shipping is always FREE when you use their red card, which gives you an additional 5% discount on all their merchcandise. Once you let me know what you plan to purchase, I’ll update the list. If you want to purchase part of an item (for instance 2 bottles of B-1 instead of all 40 :), that is fine! The list will be updated daily, so just check the site for current status on remaining needed items. We would like to have these items by April 17th if possible. This will allow us to pack in advance and determine if we have additional space to add more items. "There's a reason we like to give Experito peanut butter!" 3. Carissa is their 1yr old daughter–any gift for a baby girl–gently used clothing is completely appropriate. donated! 7. 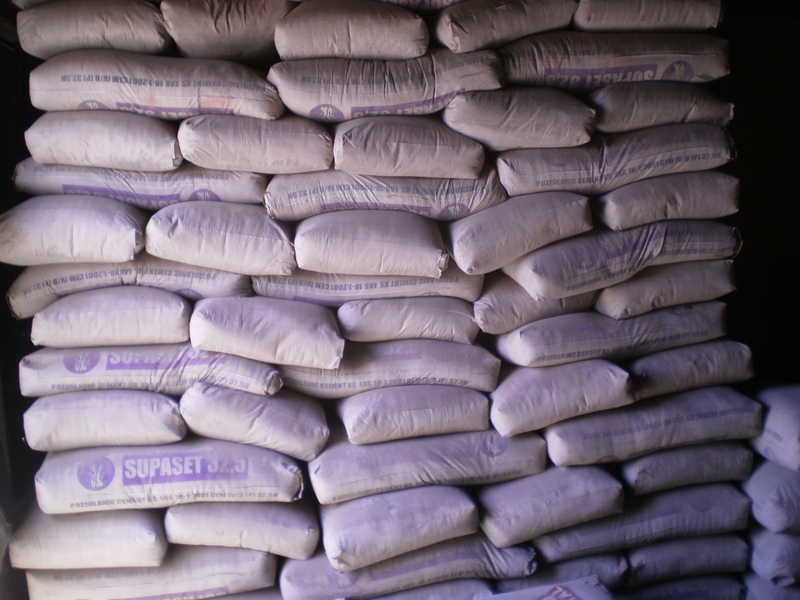 40 bottles of B-1– an annual supply for Experito and Justine and the 60 children who attend the school. B-1 prevents malaria! 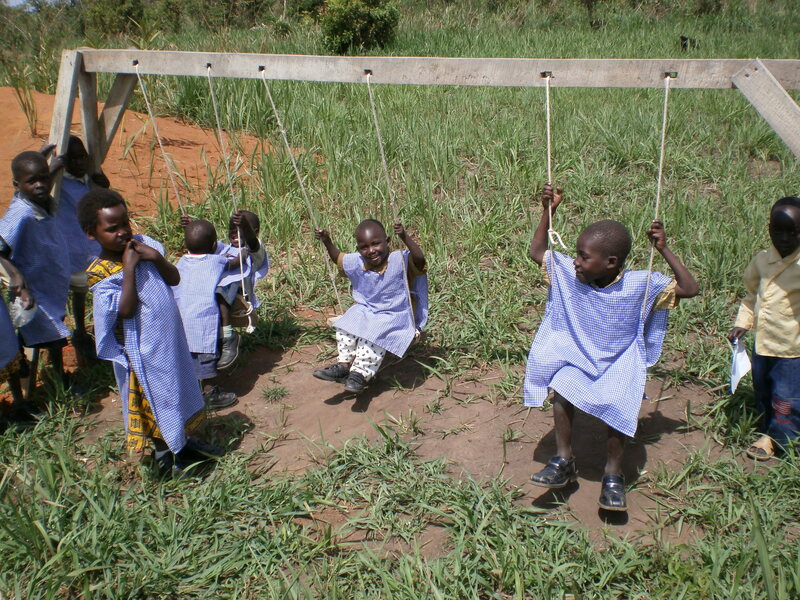 $23 will protect 3 children from malaria for an entire year. The best source is here: http://www.vitacost.com/vitacost-vitamin-b-1. Right now shipping is free for orders over $25. Buy two bottles, and save the $4.95 shipping cost. 8. 8 Crewneck undershirts- small size donated on 4/4! 9. 8 Boxer-briefs- 4 donated on 4/4! 10. 8 pair of Women’s underwear (if questions, please email me) donated 4/2! While I was going through pictures to include in this post, I came across this one, which always makes me laugh. (Hope you don’t mind Ed.) 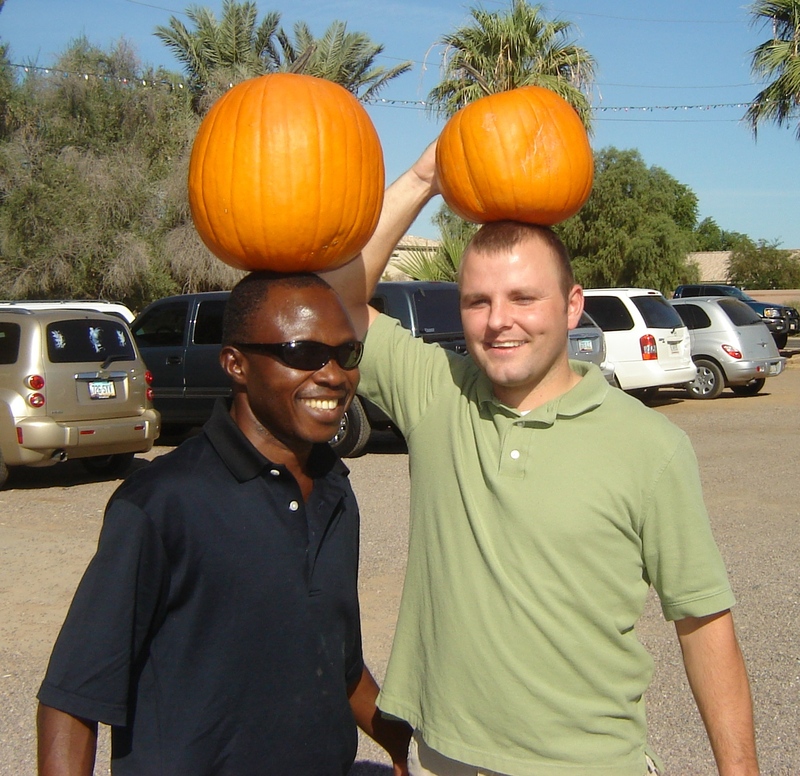 Ed and Stephanie took Experito to a pumpkin farm when he was here in 2008, and once Experito had picked out his pumpkin, he put it on his head (where it belongs of course), and started walking, hands down by his side, across the pumpkin farm. It didn’t occur to him that this would draw a crowd. He said when he saw the people gathering to watch him, he thought about preaching a sermon (innovative approach). Ed attempted to join him, although I heard he may need to work on his head-balancing skills. Naturally the whole incident was captured on camera. Such funny stories when we cross cultures. 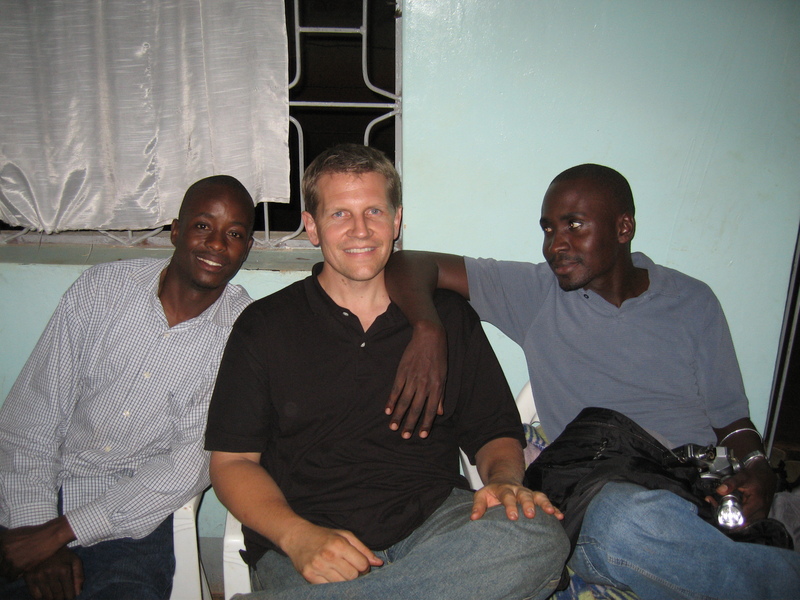 Mark Lubega, Frank May, Seggy Hannington...love this picture...such good friends. 1. 32 Hanes T-shirts (crewneck with sleeves – 16 small, 16 medium) 10 small and 12 medium donated 4/4! 2. 32 boxer-briefs (24-size 30/32 waist; 8- size 34 waist)- 4 size medium donated 4/4! 4. 2 Cetaphil lotion (not cream)(for Seggy’s Eczema)- Kroger brand is half the price is and is the same. donated 4/4! 1. 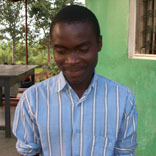 31 bottles of B-1 annual supply for 50 people to prevent malaria http://www.vitacost.com/vitacost-vitamin-b-1 donated 4/1! 4. 50 bars of soap donated- 4/2! 8. A couple of large bags of snack-size non-melting candy for the children. donated 4/2! The wild fires have not been unbearable for the vulnerable; they have stretched us to unbearable proportions. 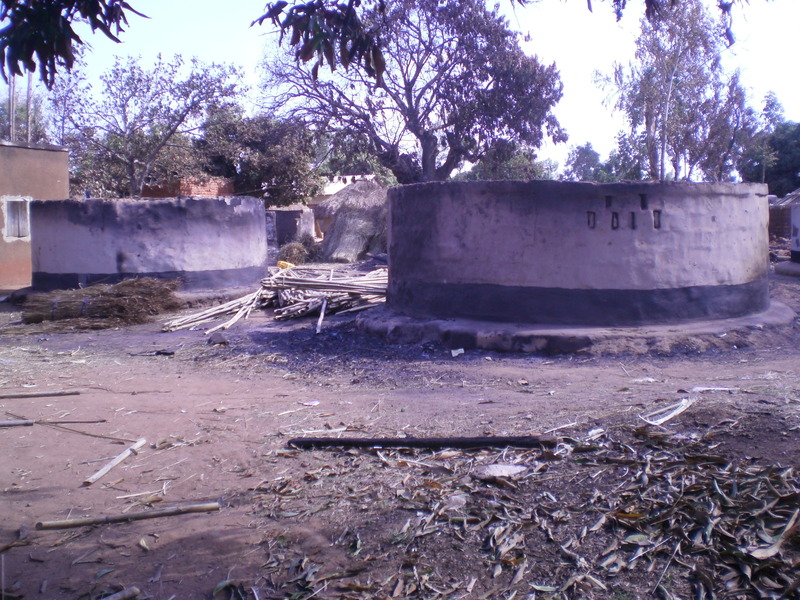 Last week in our church neighborhood, 47 huts were burnt with fire from an unknown source. We have since moved in to support them with clothes, foodstuffs and some utensils. 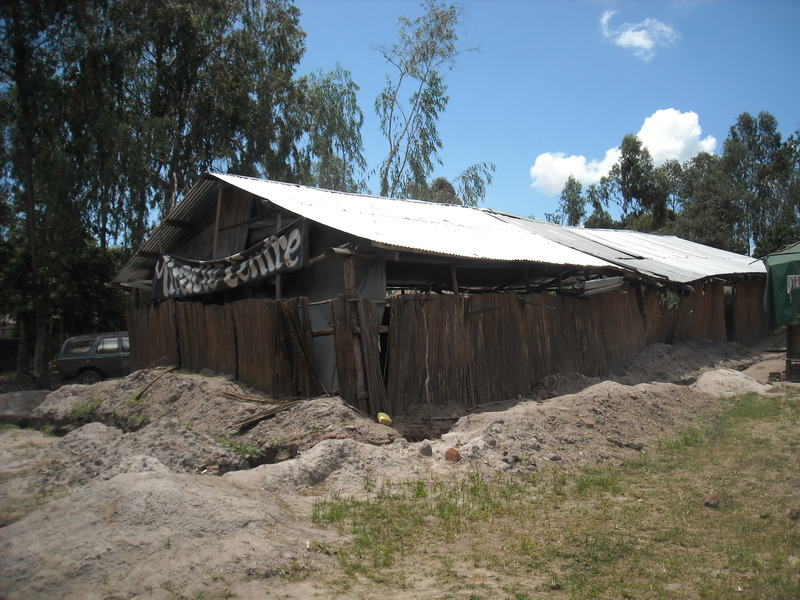 A majority of people are now sleeping in roofless houses. This grass has been useful to some of the victims. We then identified the most needy families to benefit from this vital offer and transported the grass from Kochgoma. Each hut will require a minimum of 30 bundles of grass. 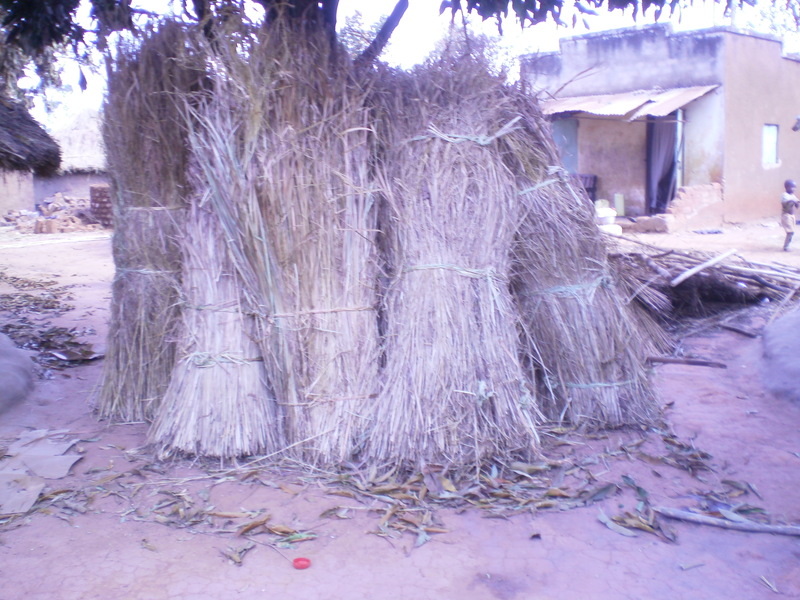 A truck can curry about 50 bundles of grass. If they were to buy it, each bundle would cost 5,000 shillings without transport. 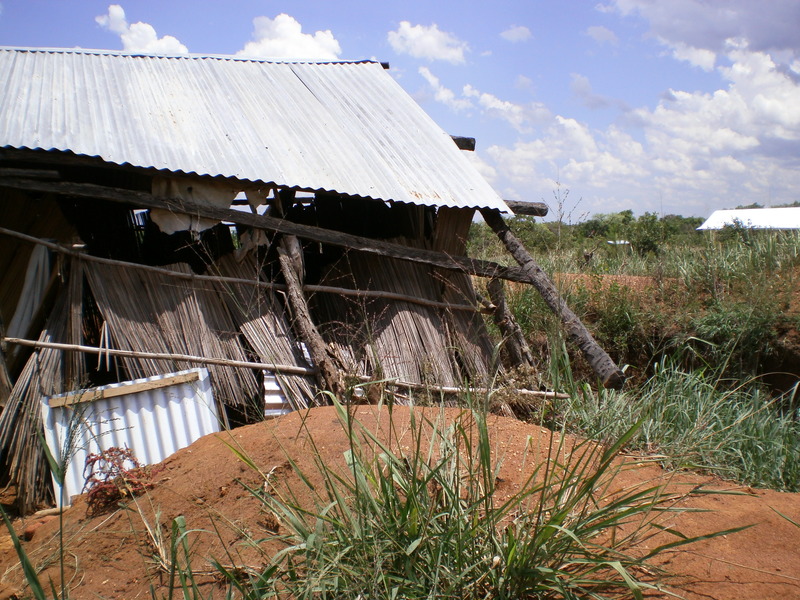 (About $65/per roof or the equivalent of 2 months’ income) Those whom we have managed to support with this roofing grass are immensely grateful. I can also look in amazement to see that the Kochgoma land is blessing different people in unusual ways. 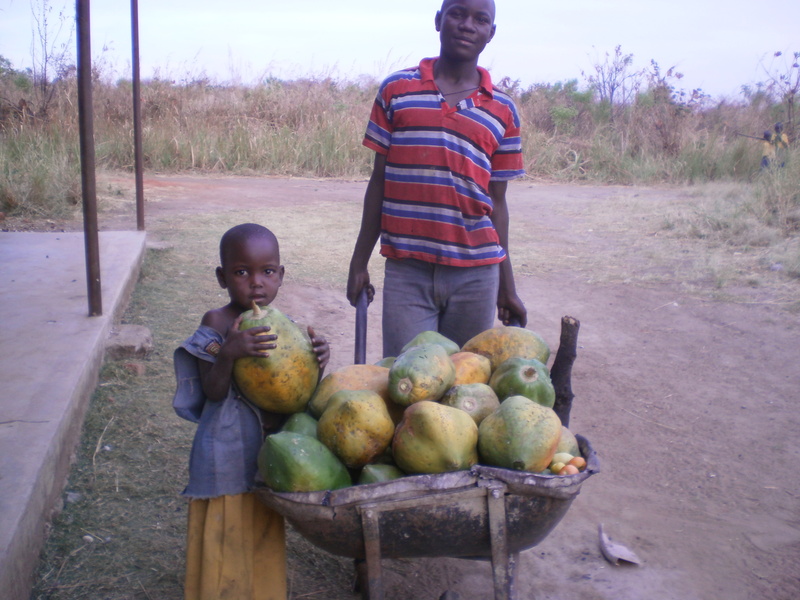 When we harvested pawpaws, we included it on the menu to help the vulnerable victims. Allen had always desired a pawpaw, which a family of 13 could share one in a year. She was given an abundant supply of pawpaws. It was joy in the midst of pain. I must hasten to say that you have immeasurably strengthened us to help the helpless!! And it is in eternity that you will see how your kindness has effectively benefited the least. In late January, we emailed Experito to notify him that funds were available to build the teacher’s home that houses the teacher for the school in Kochgoma. 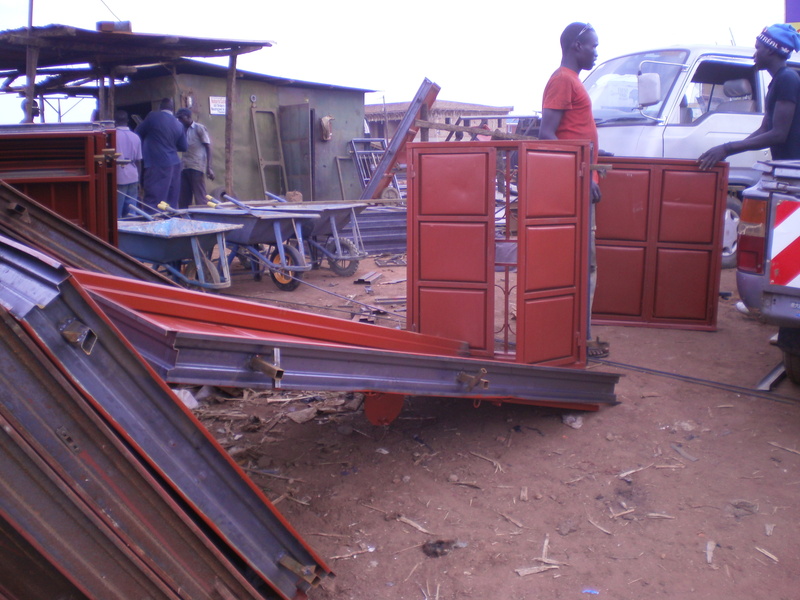 The temporary structure that had been built previously was destroyed in a storm. 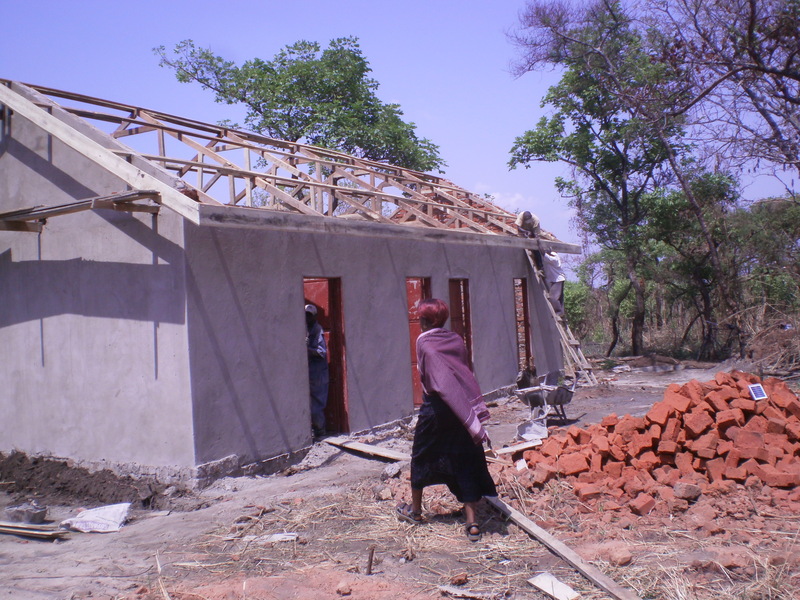 The community wanted to build a permanent structure for the teacher. 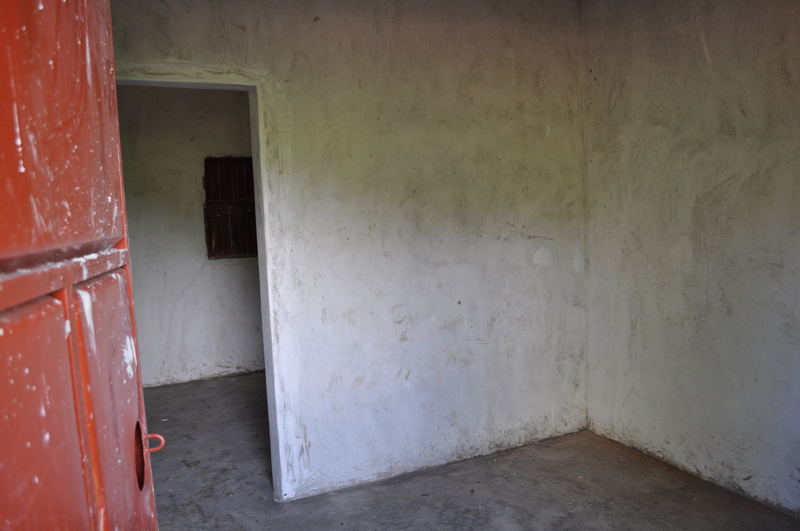 We discussed the typical local home (mud hut), but those who are educated enough to teach would generally have a different expectation for housing. Therefore the one teacher who had been willing to teach in Kochgoma was living in Gulu and making a horrendously long and difficult daily commute into Kochgoma (think huge mud mogles for 60 to 90 minutes each way on a motorbike). 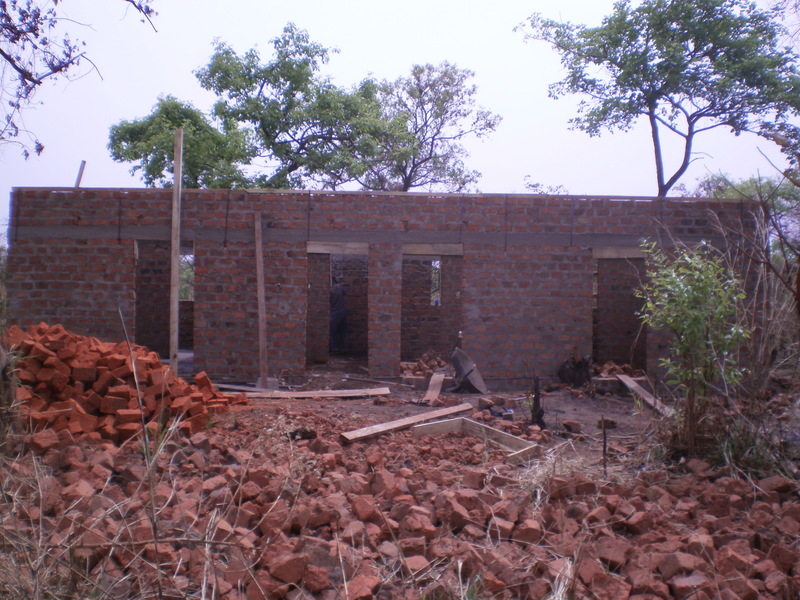 The Koch Goma community began by donating bricks (which they made) to build the new structure. 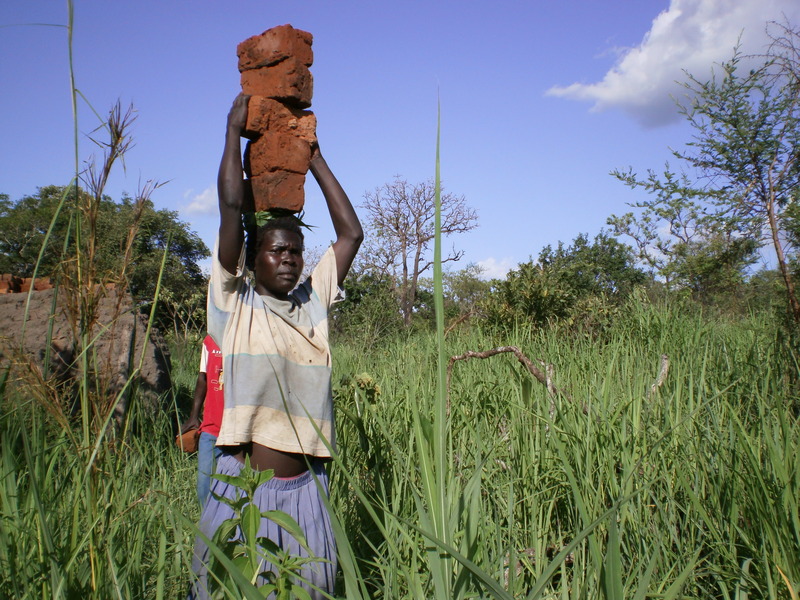 When we learned they were hand-carrying all the bricks from their community to the school site, we were able to send money in May of 2011 to assist with transportation. 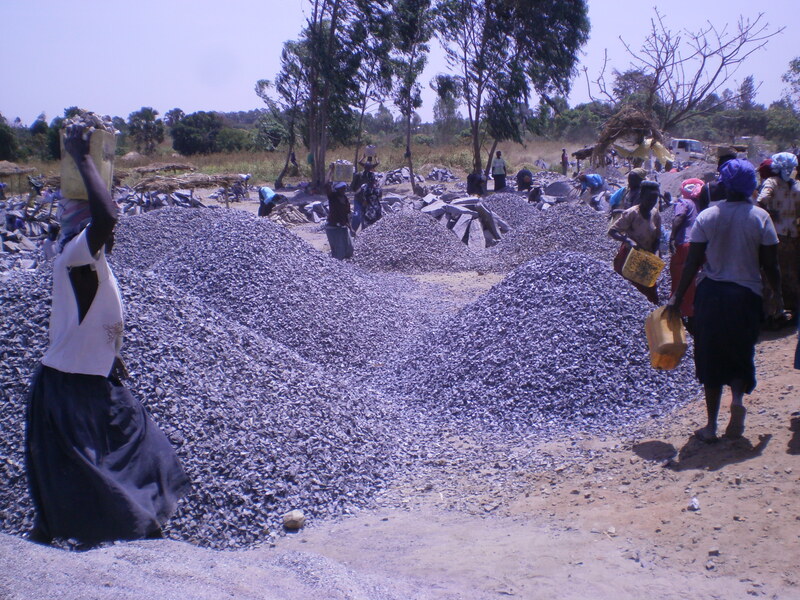 Still money was needed for items such as iron sheets (for roofing), nails, cement, and some skilled labor. Waaaaooohhhh……Waaaoooohhhh….Waaaooooohhhhhh! This is incredible! It is unimaginable! I am at loss for words. I believe in the kingdom of God there is enough for every need except greed. 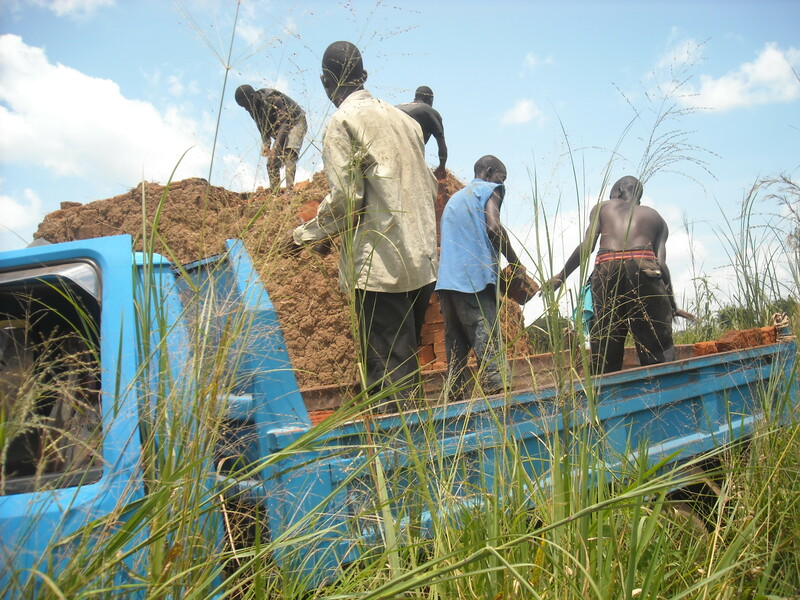 I had not been on the internet to see your email, because we had traveled to Kitgum. 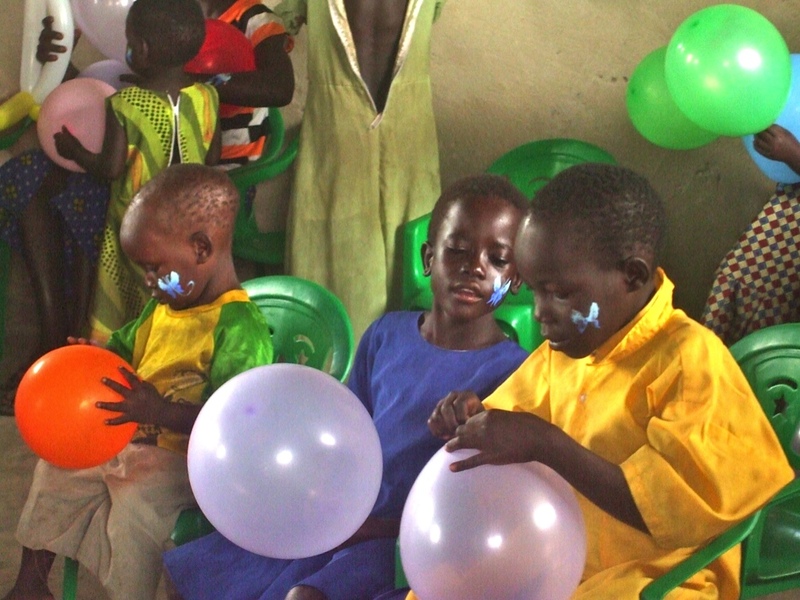 It is a district north of Gulu, on the border of Sudan, and there had been an outbreak of NODDING DISEASE (a fatal, mentally and physically disabling disease that only affects young children typically between the ages of 5 and 15). This disease caused people to abandon each other in order to avoid it. We risked our lives to take food to some of the suffering families. Many had gone days without food or medical help in near reach of them. But when we arrived they were filled with joy and we got to minister to them. We also discovered kids who had passed well to go secondary school. Some of these kids hopes for further studies had been shattered because their relatives and parents were now helpless. 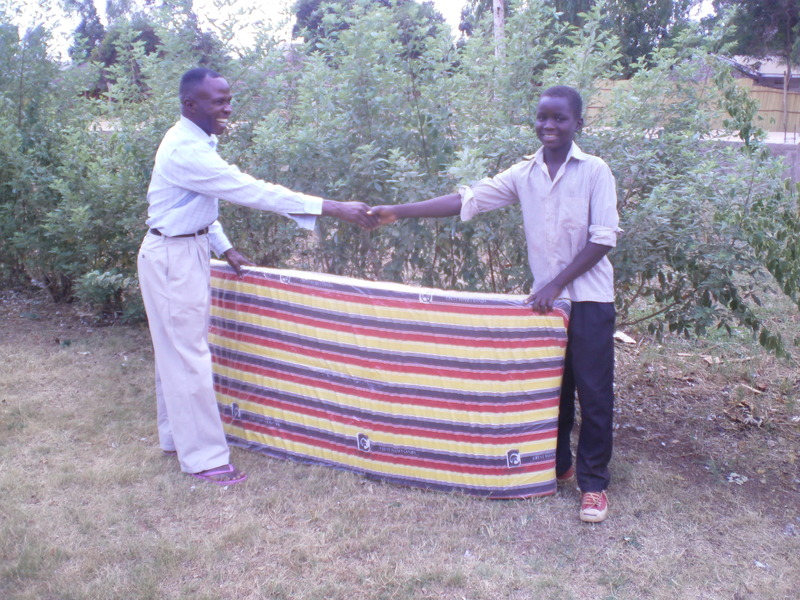 We picked Daniel, one of the kids who had passed well, and the congregation bought him scholastic materials, as well as a mattress to go to boarding school. We have yet to raise tuition for him to cerebrate joy in his schooling. Justine had gone to Kochgoma with Carissa to make arrangements for the start of the new term. 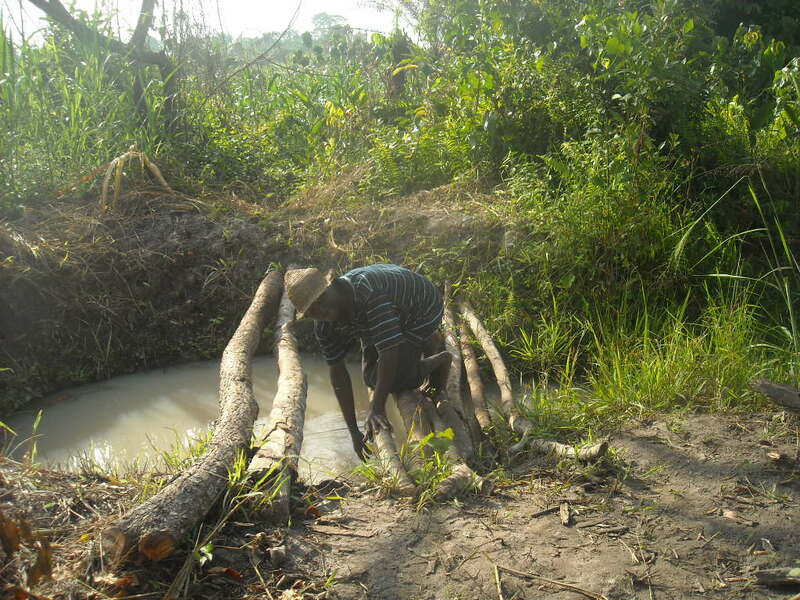 The teacher of the school in Koch Goma had expressed pain in traveling daily long distances to the school. So he opted to halt the services. God has demonstrated a miracle. When all was immovable, God moved. We cannot say enough thank you for your concerted efforts to make Kochgoma a place of praise for God. Thanks to Drea, the director, for the new breath of energy which is bearing unexpected precious fruits. Our momentum has taken us to unimaginable levels. Next week it will be work on the staff house. We salute Pastor Steve for his love for us and courageously became a voice for the voiceless. 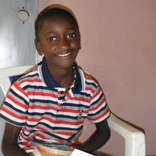 Postscript- On the morning of 2/6, Experito sent an email that said: We are sooooo happy that Daniel’s tuition has been worked on. He at least can be able to reach S.4 (High school grade 4 out of 6) with the contributions that have been pledged for him by the members of our church. 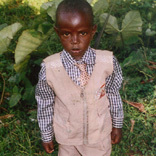 He starts his schooling on 13th Feb.
2011 was a year of much change, prayer, and careful evaluation. We know it’s been a while since we posted, and we all firmly believe that nothing in God’s Word has changed! (Yes, we are stating the obvious there!) We still believe God’s Word calls us to remember the poor, to pursue the kingdom of heaven with great joy, and to excel in the grace of giving, pursuing the goal of equality. 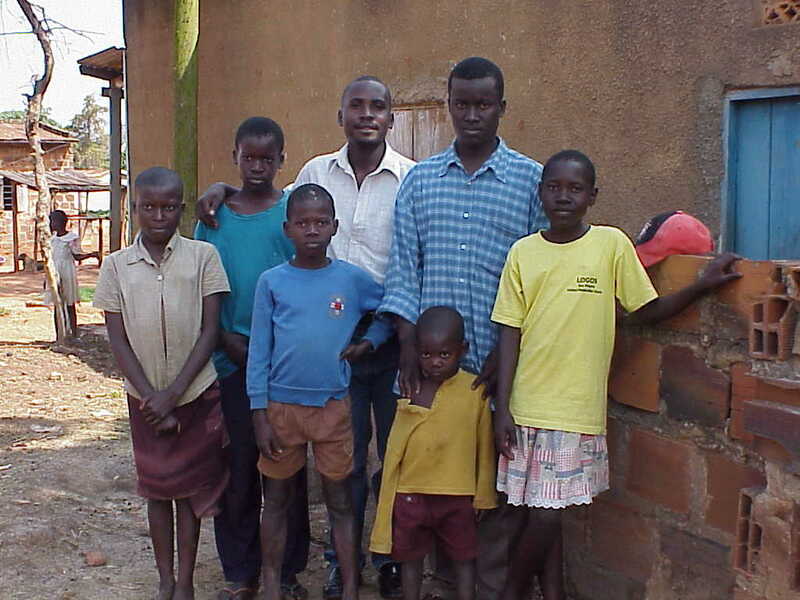 We have continued in partnership and communication with both Pastor Experito and his wife Justine in Gulu, and with Pastor Cyrus and his wife Eucabeth in Kisii. We plan to share news from them with you on a monthly basis. I have just returned from different villages where there had been IDP (Internally Displaced People). Recent reports indicated that some elderly people are starving to death. While most people returned to villages where they lived before the war, these elderly people could not return because they had lost most of their children and able relatives who could support them. This category of people remained behind. With that in mind, our church decided to give these people a special Christmas treat. So I travelled to three of these IDP together with Charles, an elder in the church. We borrowed a vehicle where we loaded posho, rice and beans. We also raised some money to buy them meat!!! The ministry was exciting. Some of them cried tears of joy because it had not occurred to them that God could make such an arrangement which could cause a pastor to be out of his congregation on Christmas Day!!! It was an opportunity to share with them the love of God who leaves the 99 sheep and goes to look for the lost one. We were able to minister to a total of thirty elderly people. Back at church, Justine, had remained with other leaders to serve kids of prisoners. 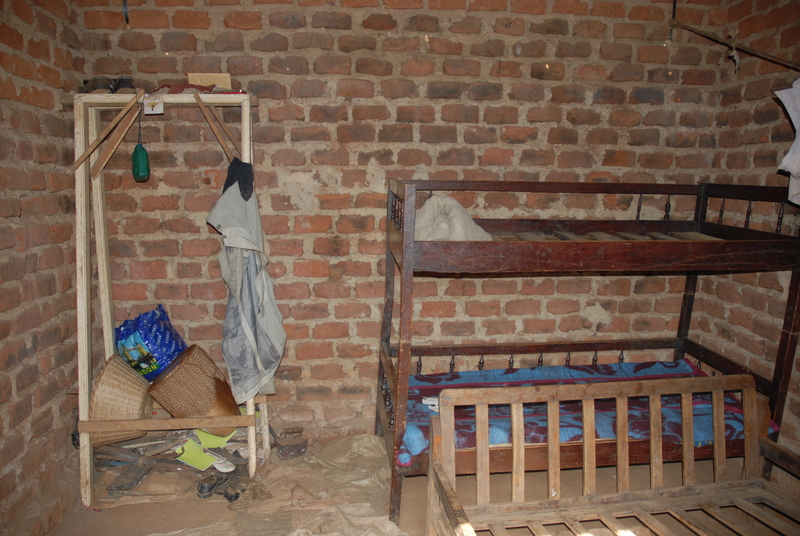 Arrangements had been made to go to the homes of some of these prisoners and give a special treat to these kids!!! When we had finished our ministry to the elderly, on our way back, the vehicle experienced a serious mechanical damage in the differential. It couldn’t move any further. The place did not have a slight network to make a phone call for help. 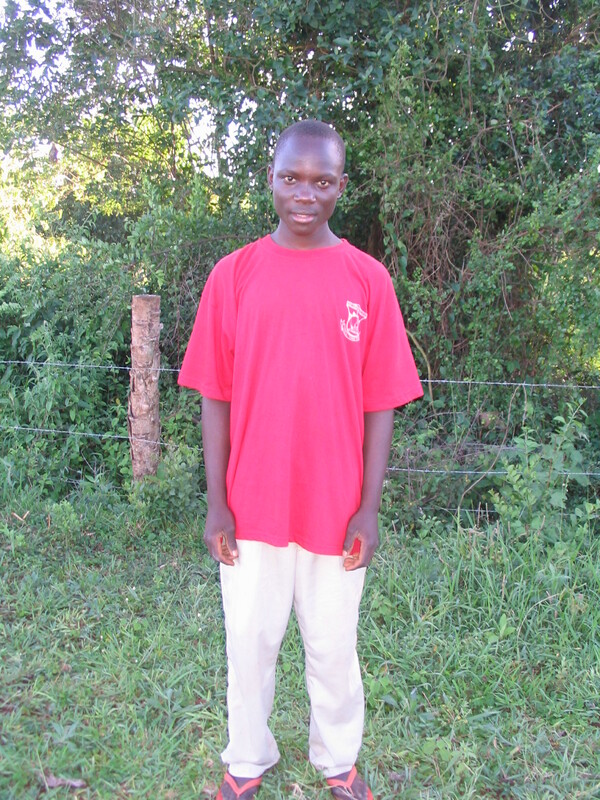 Charles walked for over twenty miles in the evening to get help. I slept in the car. It is today that we were towed to Gulu. Justine thought I had gone with the camera. She never took any pictures. At times when I go on some risky missions. I do not curry valuables like cameras which I might lose in the process especially when the support team is small. Therefore, I did not take any pictures. Thank you for your prayers we have all arrived alive. It has been a pleasant moment to meet with Vincent the local area village chairperson. He found me taking pictures of kids as they were arriving for school. He appreciated the way this school was put in a jungle where it was not easy for kids to access schooling because of distance from government-aided schools and the dangerous bushy roads they have to use en route to school. He looked at the decent shoes and the backpacks and he was astounded to have such care and concern for the kids in the locality. He expressed his great faith in the nursery school to grow to the High School level. 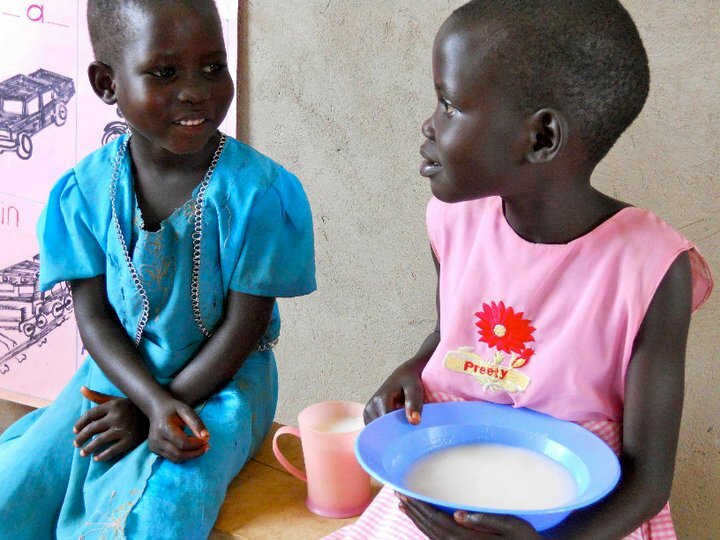 He saw also how they get meals at school which included beans and posho, which they eat before going back home since many of the kids travel a fairly long distance. During break time they are provided with porridge. He looked at the places where they play the games and it was amazing to him. 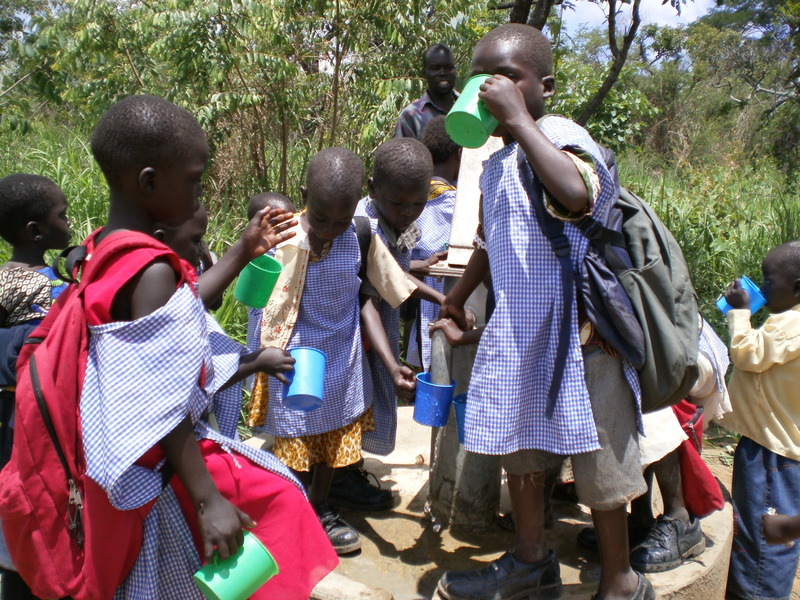 The good water which was so abundant for the kids to drink at ease satisfied his curiosity, and he concluded that God has caring people in the world. I was reminded by David Platt this morning that whenever we take clothing, we must also take the gospel. Whenever we take water, we must take the gospel. Satan doesn’t mind if we clothe and feed people on their way to hell. 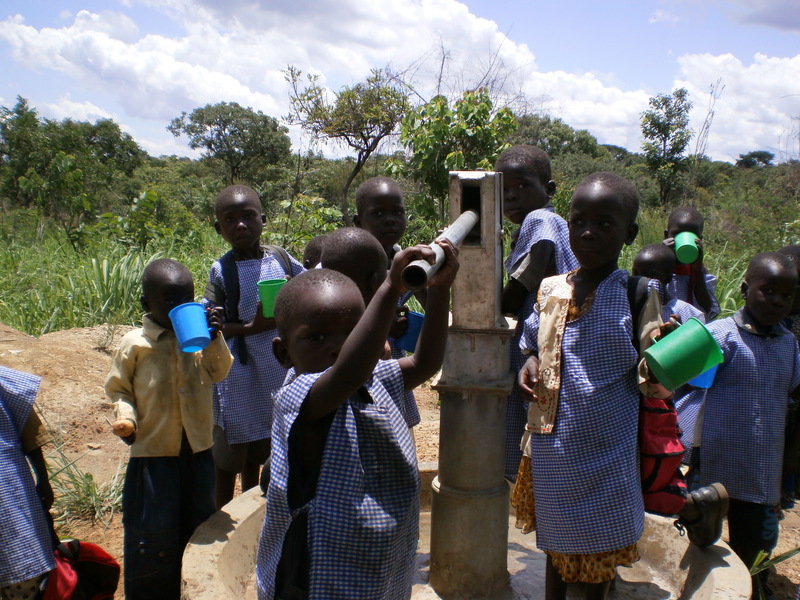 While we rejoice in providing water to those who don’t have access to it, our greatest joy and ambition is in bringing the Living Water of Jesus to those who don’t yet know Him and the freedom and abundant life He brings. In an area where witchcraft, war and death has had deep roots, the light of Jesus is being made known. We thank God for Pastor Experito and those living in Kochgoma who are faithfully spreading the gospel, destroying strongholds, and taking every thought captive to obey Christ. Last July, one of my dearest friends from high school turned 40. (Yes, that means that I am now 4-0, too.) 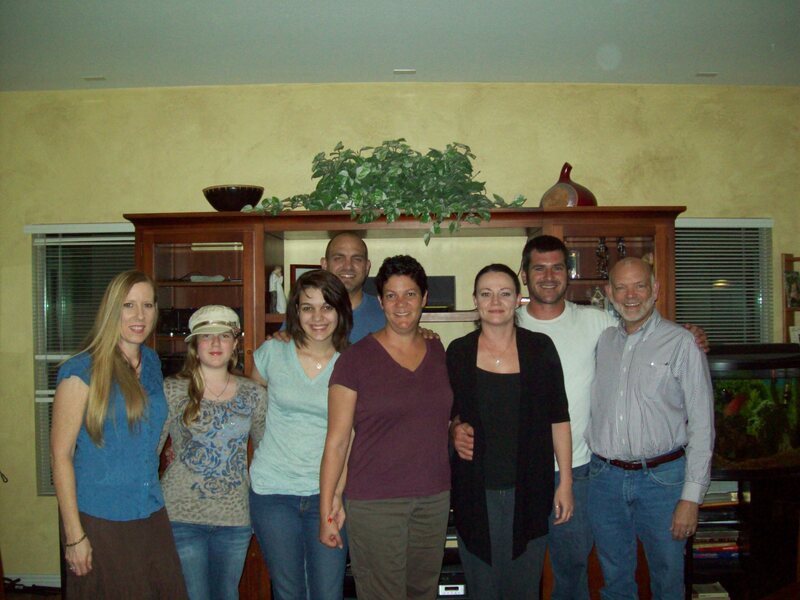 In honor of her 40th birthday, she invited her family and friends to participate in raising funds for a well in Kochgoma. Due to a broken camera and a stolen laptop, we have waited a very long time for these photos. I just received them a couple of days ago, and it is with great delight that I get to share them…finally! The fruit of a 40th birthday celebration. We are praying as these little Koch-gomans receive the love and care of Jesus physically through water and food, and as they hear the gospel of truth and peace preached among them, that they will become young men and women who are accused of turning the world upside down for Him. Your input in Justine’s and my life has been immeasurable and has given us definition for life. Thank you for the laptop and its lock, peanut butter, batteries, camera and to have arranged dinner with Cindy’s dad and the team. It was an awesome moment! The partnership which could only have been crafted by our God cannot be traded for anything. Thank you for your love for the Lord, which overflows in giving. 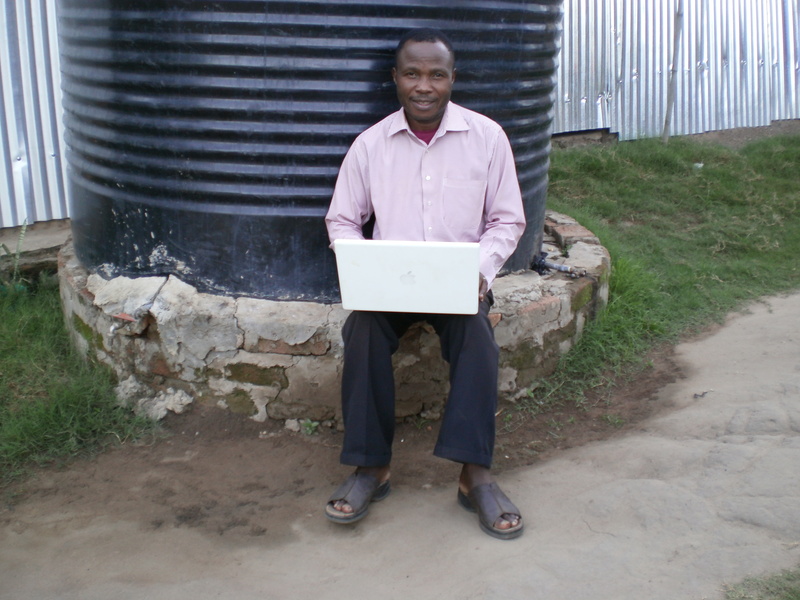 Your contributions made possible Experito and Justine’s water tank (which provides water to their church members as well), the laptop AND lock (! ), and of course the peanut butter. I’ve heard reports of whooping and hollering associated with the gift of the peanut butter. It’s a sight to behold :). 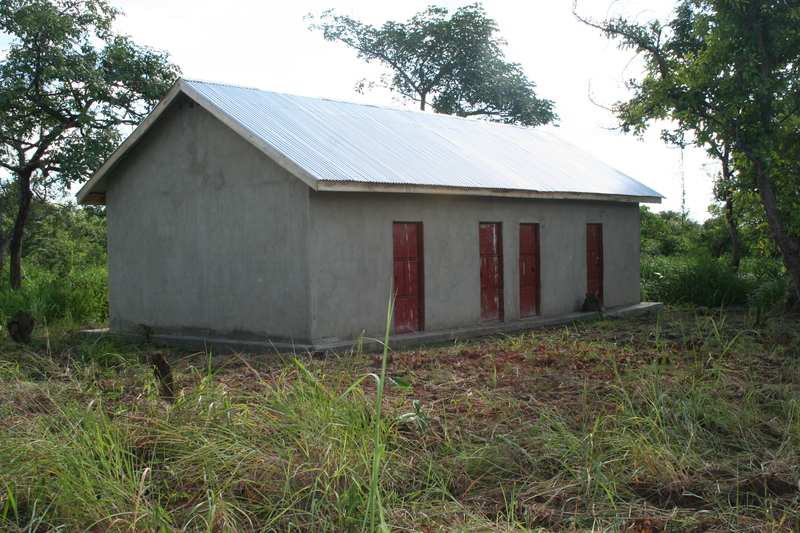 The water tank, which saves Pastor Experito and Justine hours of walking each day, was donated last year. 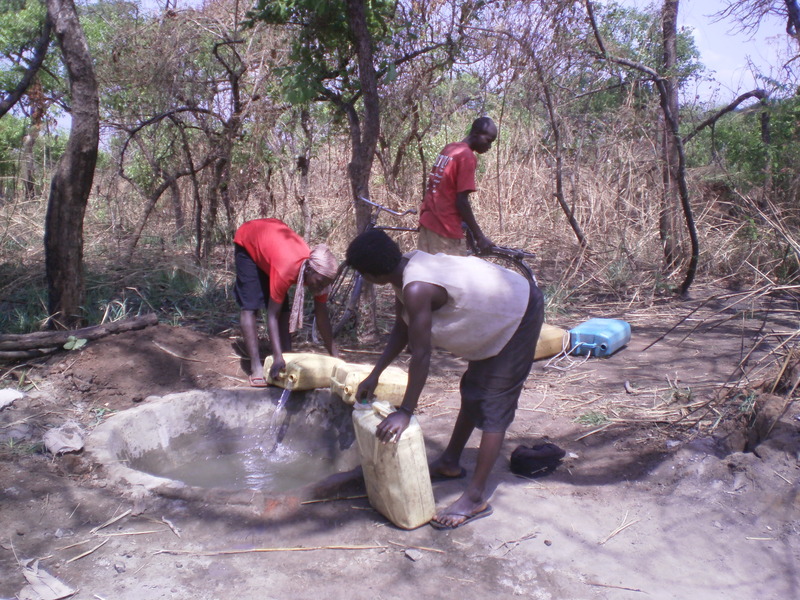 They used to walk more than 2 kilometers to collect water. The nations shall see your righteousness, and all the kings your glory!…and (we shall) give him (God) no rest until he establishes Jerusalem and makes it a praise in the earth. 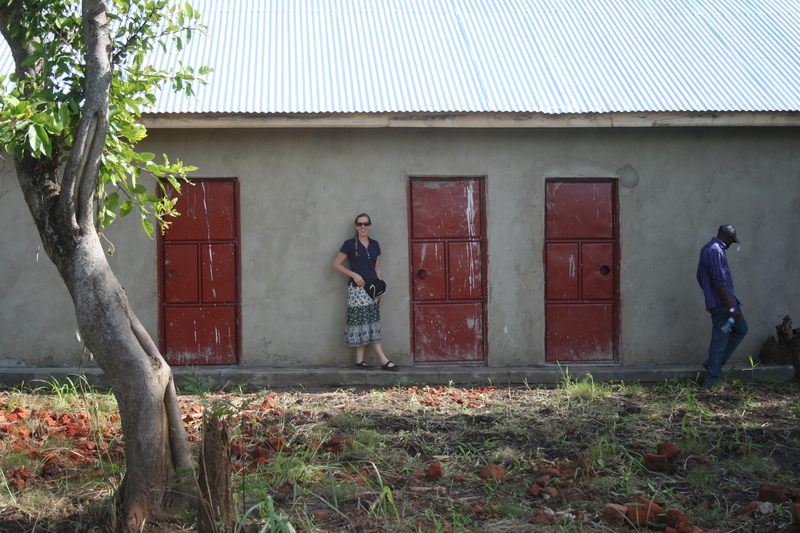 It is with unimaginable joy that I tell you what I saw at the new school in Kochgoma (Gulu). We witnessed kids exuding with confidence as they put their feet in shoes for the first time in their life. You would not help to see parents and guardians looking at their kids with hope and joy. Indeed one can observe smiles on the faces of these people on whom a smile was an unusual phenomenon. Lives are getting touched for better. These parents were all unanimous and earnest in appreciating the generosity of the friends of the unknown to care so much in lifting the standard of living for their children. One after the other they talked while narrating how such a jungle is turning out to be a place of inspiration. 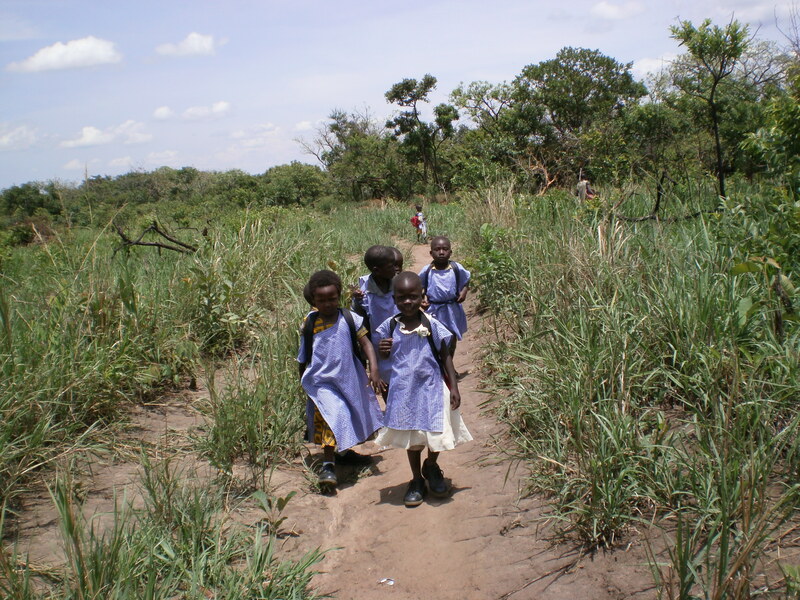 They expressed gratitude for the classroom, borehole (well), and feeding of their children at school. They also are grateful for the good teachers who have helped their children and can now speak and understand English. They appreciated the backpacks and kool aid drink, uniforms and more so the shoes!!! I can see an investment in this community which has both precious and priceless returns. 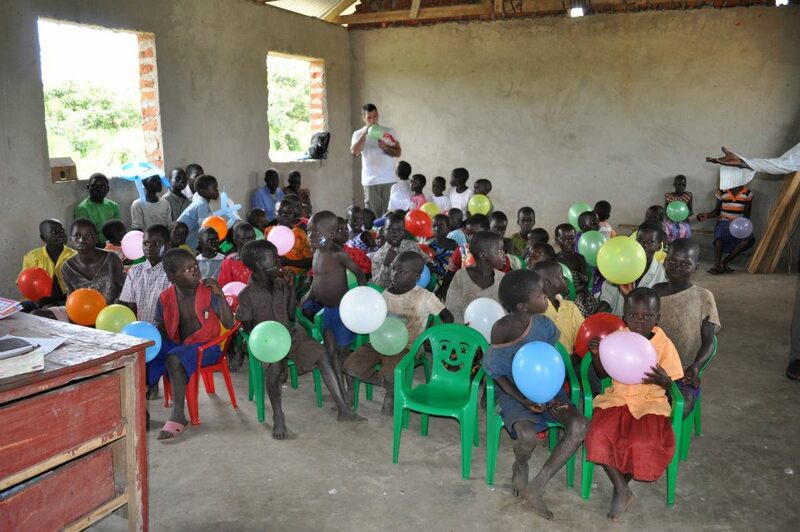 Many thanks to all who made it possible to make these kids have a smile as well.